In one of my previous articles, where I wrote about the upcoming Slackware Live edition, I added some premature screenshots of the Plasma 5 packages I am announcing today. Just when I was preparing for upload, Pat released his big November 14th batch of updates to Slackware-current (including new kernel, compilers and X.Org), dubbing it “almost a beta”. That delayed the release process for my November Plasma 5 packages because I needed to check the impact of these updates to my already compiled packages. Here it is finally, since I could not find any showstopper bugs: KDE 5_15.11 . It contains the following updates: Frameworks 5.16.0, Plasma 5.4.3 and Applications 15.08.3. What’s new in KDE 5_15.11? Plasma 5.4.3 is a bugfix release and should be the last before 5.5.0. See https://www.kde.org/announcements/plasma-5.4.3.php . Applications 15.08.3 was released last friday. It is a bugfix release. 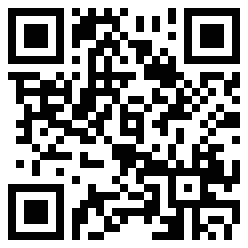 Note that I did not recompile the Telepathy applications this time! Upgrading to this KDE 5 is not difficult, especially if you already are running KDE 5_15.10. You will have to remove old KDE 4 packages manually. If you do not have KDE 4 installed at all, you will have to install some of Slackware’s own KDE 4 packages manually. Posted: 16 November, 2015 in Slackware, Software. The only problem is that take a long time to start plasma from ssdm. Hi Eric! Plasma generally went OK here, but now I don’t have a clock. I mean, the clock/calendar plasmoid is there, but it cannot show the date and time. Investigating further, it seems that there’s a policykit or consolekit error (notice that I reinstalled ConsoleKit2 after installing Plasma as stated on your README). When I try to update date and time, and try to apply these settings, kcmshell crashes. remove digital clock widgets, and add again. One more thing: I think you did not label your packages with the usual “alien” label, which I have blacklisted in slackpkg. Can you please relabel the packages please? Funny. I saw you labeled your packages as usual, but Slackpkg is ignoring its blacklist. Eduardo, I noticed that all packages in the kde/applications directory are missing their ‘alien’ tag. I am fixing that now, and then those fixed packages will be pushed out into the repository. @alien: Sorry. You tagged your packages as usual. But slackpkg is acting weird. Ah! That was it. I will refresh my copy as soon as possible then. Thanks!! Thanks for the update, Eric. It is the best KDE5 experience so far. I must give two thumbs for the devs for keeping plasma desktop using less RAM. Since login until now, my KDE5 only using ~1G of RAM (including this firefox browser). Yes I think too that with the current set of packages, Plasma 5 desktop starts approaching a level where people can use it for their daily work. The next Slackware will nevertheless ship with KDE 4.14.3 unless I am very much mistaken. I have had an issue with libxcb being downgraded during the last two updates (using slackpkg) as current has a newer version than you. Other than that all is well thanks for the updates. savo, I do noit have a libxcb package for Slackware-current, where do you get that from? After install new Plasma, there is no hp system tray icon, and in active process no xembedsniproxy. I need to add xembedsniproxy in startup programs. No hp system tray icon problem here, it work. have you installed the package sni-qt ? I’m getting a very big arrow icon on grouped tasks, changing the plasma theme to the Breeze Dark variant fixes it, sort of. Anybody else getting this too? The list below shows all packages with name matching “libxcb”. savo, http://www.slackware.com/~alien/slackbuilds/libxcb/ does not contain a libxcb package for -current. Please fix the issue on your end. I have sni-qt installed. Now it work fine. Configure slackpkgplus.conf, you probably have url for 14.1. Gérard, can you tell me what needs recompiling in any case? I was offline all morning due to firefighting training course and am not currently running Plasma5. I can start compiliation of the critical packages remotely though… the rest will have to wait until when I get home tonight. Hi Eric, perhaps a full rebuild may be in order. In runlevel4, sddm cannot start (it complains about icu4c). In runlevel 3, startkde aborts very early complaining about dbus. Thanks for everything! … but perhaps all it needs is a qt5 recompile. I don’t like to rebuild qt5 … takes all day for 32bit and 64bit. You will have to be patient, since I am not behind a computer tomorrow. Will see what can be started today, once I have upgraded my virtual machines. Also confirm that new package icu4c_56.1 break Plasma 5 and KDE applications. For now easiest solution is to downgrade to icu4c_54.1 and add some symlink for few applications (KSysGuard, Kmix). 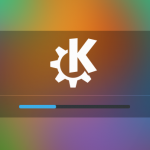 recompiled all kde package, just ‘kuser’ don’t compil. I built qt-5.5.1, which eliminated one set of issues. NOW Akonadi has risen to the top of the mess! Let’s see what happens when I build that against the new libraries…. Gerald Morris, I built qt-5.5.0 from ktown repo source and akonadi and all seems to be fixed, but I haven’t done any kind of extensive testing; it might be because of using 5.5.1? Say, big THANX 2 U Henry Case! Actually, would it be much trouble 2 U 2 post on your Dropbox that akonadi build? Plasma starts up, but I’m still getting puked on by akonadi…. Is akonadi complaining about an icu4c shared lib? Eric it seem i found the problem it’s probably ‘solid’ package.